Product overview The SourceMeter combines a precise, low-noise, highly stable DC Power supply with a low-noise, highly repeatable, high-impedance multimeter. It has 0.012% basic accuracy with 51⁄2-digit resolution. At 51⁄2 digits, the SourceMeter delivers 520 readings/second over the IEEE-488 bus. At 41⁄2 digits, it can read up to 2000 readings/second into its inter- nal buffer. The unit has broad source and measurement ranges: Model 2400: • Source voltage from 5μV to 210V; measure voltage from 1μV to 211V. • Source current from 50pA to 1.05A; measure current from 10pA to 1.055A. • Measure resistance from 100μΩ (<100μΩ in manual ohms) to 211MΩ. • Maximum source power is 22W. Model 2410: • Source voltage from 5μV to 1100V; measure voltage from 1μV to 1100V. • Source current from 50pA to 1.05A; measure current from 10pA to 1.055A. • Measure resistance from 100μΩ (<100μΩ in manual ohms) to 211MΩ. • Maximum source power is 22W. 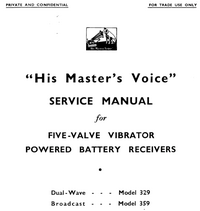 Model 2420: • Source voltage from 5μV to 63V; measure voltage from 1μV to 63.3V. • Source current from 500pA to 3.15A; measure current from 100pA to 3.165A. • Measure resistance from 10μΩ (<10μΩ in manual ohms) to 21.1MΩ. • Maximum source power is 66W. Models 2425 and 2430: • Source DC or pulse voltage from 5μV to 105V; measure voltage from 1μV to 105.5V. • Source DC current from 500pA to 3.15A; measure DC current from 100pA to 3.165A. • Source pulse current from 500pA to 10.5A; measure pulse current from 100pA to 10.55A. (Model 2430 only.) • Measure resistance from 10μΩ (<10μΩ in manual ohms) to 21.1MΩ. • Maximum DC source power is 110W. • Maximum pulse source power is 1.1kW. (Model 2430 only.) 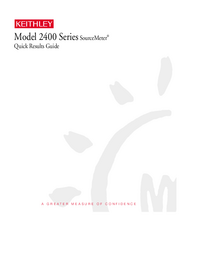 Model 2440: • Source voltage from 5μV to 42V; measure voltage from 1μV to 42V. • Source current from 500pA to 5.25A; measure current from 100pA to 5.25A. • Measure resistance from 10μΩ (<10μΩ in manual ohms) to 21.1MΩ. • Maximum source power is 66W. 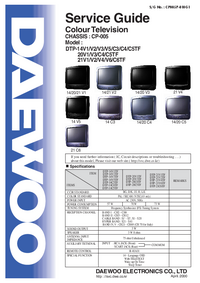 NOTESThe Models 2400, 2410, 2420, 2425, 2430, and 2440 are Y2K compliant. Models with a “-C” suffix have the Contact Check option. See Appendix F. Some additional capabilities of the SourceMeter include: Concurrent measurements of all three functions over the remote Interface. Source-measure sweep capabilities (linear and logarithmic staircase sweeps, source sweep list of up to 2500 points, memory sweep of up to 100 instrument setups). 6-wire Ω measurement with programmable I-source or V-source with V or I clamp. 4-quadrant source and sink operation. Up to 12 stages of limit testing with a built-in comparator for pass/fail testing. Digital I/O for stand-alone binning operations or Interface to component handler. Programming language and remote interfaces — The SourceMeter uses the SCPI programming language and two remote Interface ports (IEEE-488/GPIB and RS-232C). Trigger-Link Interface to Keithley Series 7000 switching hardware. Math expressions — Five built-in, up to five user-defined (bus only). Reading and setup storage — Up to 2500 readings and seven setups (five user defaults, factory default, *RST default) can be stored and recalled. 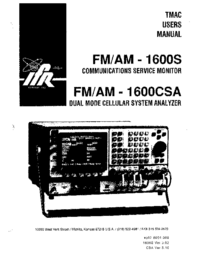 Closed-cover calibration — The instrument can be calibrated either from the front panel or remote Interface. 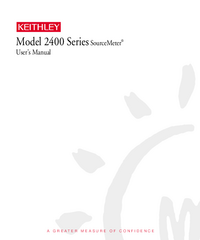 Quick Results Guide This guide is designed to familiarize users with fundamental operation (front panel and remote) of the Keithley 2400 Series SourceMeters. For comprehensive information on all aspects of SourceMeter operation, refer to the 2400 Series SourceMeter User’s Manual. Operation information in this guide is divided into four parts; (1) Fundamental sourcemeasure operations, (2) Settings to optimize performance, (3) Features to enhance DUT testing and (4) More testing techniques. This format allows a new user to easily progress from basic simple operation to more complex procedures.